March 9, 2017. Are you a first time participant in the Corporate Sustainability Assessment (CSA)? 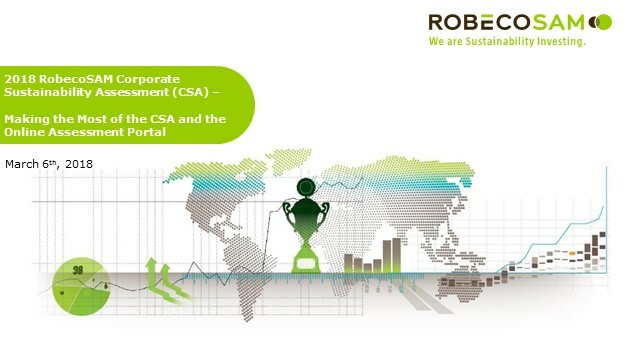 Learn more about how your participation in RobecoSAM’s CSA can drive your corporate sustainability agenda forward! March 14, 2017. Start planning your 2017 submission and learn more about the key changes to the 2017 Corporate Sustainability Assessment Methodology! April 4, 2017. In this webcast representatives of MILA, IFC, S&P Dow Jones Indices and RobecoSAM share insights into the new DJSI MILA index. October 5, 2017. This webcast provides a comprehensive analysis of the results of the Policy Influence and Human Rights criteria of the 2017 Corporate Sustainability Assessment. October 26, 2017. This webcast provides a comprehensive analyis of the results of the Impact Measurement & Valuation and Supply Chain Management criteria in the 2017 Corporate Sustainability Assessment. September 14, 2017. This webcast serves as your first source of information to better understand the methodology changes, observations in companies’ disclosures and trends observed in the 2017 Corporate Sustainability Assessment. November 9, 2017. This webcast provides a comprehensive analysis of the results of the Corporate Governance and Materiality criteria of the 2017 Corporate Sustainability Assessment. November 30, 2017. This webcast provides a comprehensive analysis of the results of the Human Capital Development and Operational Eco-Efficiency criteria in the 2017 Corporate Sustainability Assessment. October 18, 2017. Are you in Chile, Colombia, Mexico or Peru and is your company invited to participate in the Corporate Sustainability Assessment (CSA) for DJSI MILA? Watch this webcast to learn more about the CSA methodology, DJSI MILA and the participation process. March 6, 2018. This webcast provides an introduction to RobecoSAM’s Corporate Sustainability Assessment (CSA) as well as an overview of the key functionalies of the online assessment portal and new features in 2018. These include changes to the user management system, handling confidential information within your organization and RobecoSAM’s expectations around publicly available data. March 8, 2018. This webcast provides an overview of the key methodology changes to the 2018 Corporate Sustainability Assessment (CSA) methodology including new and updated questions. 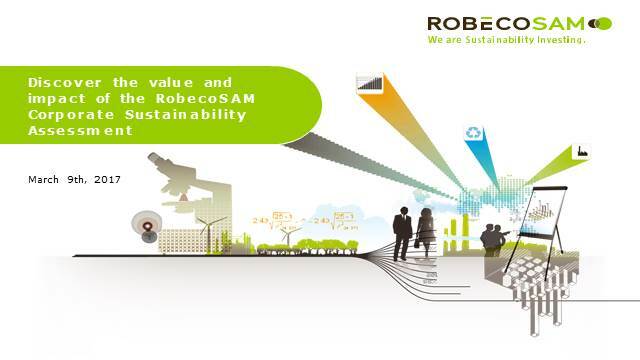 Find out more about the rationale behind the developments and learn more about RobecoSAM’ s expectations. March 27, 2018. Este webcast proveerá una actualización por parte de los socios del DJSI MILA Pacific Alliance: RobecoSAM, IFC, S&P y MILA. 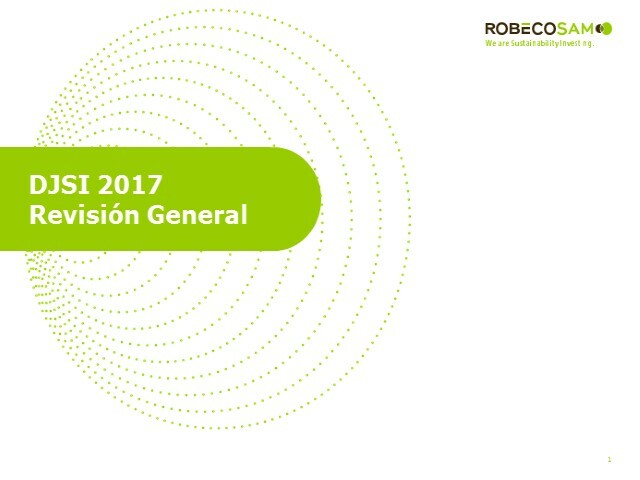 Por otra parte, el webcast entregará una visión general sobre los principales cambios en la metodología del Corporate Sustainability Assessment del 2018, incluyendo preguntas nuevas o actualizadas. Descubra la razón fundamental detrás de estos desarrollos y conozca más acerca de las expectativas de RobecoSAM. June 7, 2018. This webcast shares important updates to the Media & Stakeholder Analysis (MSA) component of RobecoSAM’s Corporate Sustainability Assessment (CSA) methodology. September 20, 2018. This webcast serves as your first source of information to better understand the methodology changes, observations in companies’ disclosures and trends observed in the 2018 RobecoSAM Corporate Sustainability Assessment (CSA). October 29, 2018. This webcast provides a comprehensive analysis of the results of the Corporate Governance and Tax Strategy criteria of the 2018 RobecoSAM Corporate Sustainability Assessment (CSA). November 13, 2018. This webcast provides a comprehensive analysis of the results of the Impact Valuation criterion in the 2018 Corporate Sustainability Assessment (CSA) and a unique insight into the RobecoSAM SDG Framework, which quantifies the contributions that a company’s products and services make to the UN Sustainable Development Goals. November 29, 2018. This webcast provides a comprehensive analysis of the results of the Climate Strategy criterion in the 2018 Corporate Sustainability Assessment. RobecoSAM’s experts will share their in-depth knowledge of the topic and discuss RobecoSAM’s expectations for this criterion through relevant examples. 08.03.2019. This webcast provides an overview of the key methodology changes to the 2018 Corporate Sustainability Assessment (CSA) methodology including new and updated questions. Find out more about the rationale behind the developments and learn more about SAM’ s expectations. 12.03.2019. 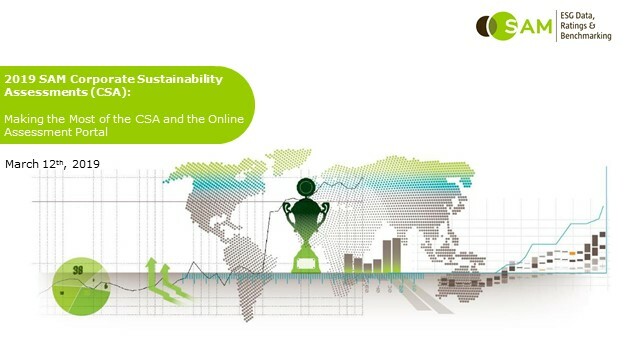 This webcast will provide an introduction to the SAM Corporate Sustainability Assessment (CSA) as well as an overview of the key functionalies of the online assessment portal and new features in 2019. We treat your personal data confidentially. 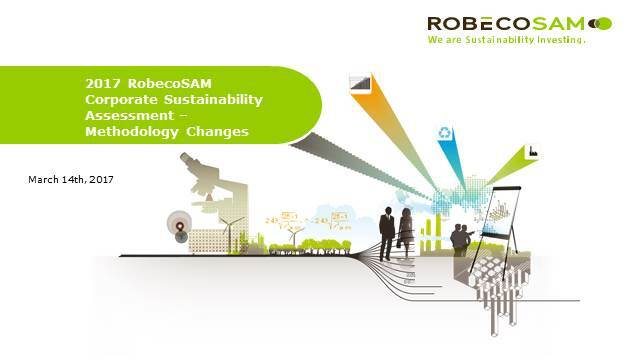 RobecoSAM will use your registration information only for the purpose to provide you with information on the Corporate Sustainability Assessment. In compliance with the Swiss data protection regulations your personal data may be passed on to third parties who will process it on behalf of the RobecoSAM AG. Data may also be transferred abroad. It is ensured that such data transfers are only made to countries which provide data protection equivalent to Switzerland.